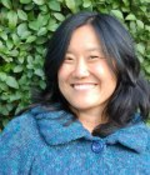 Chronic pain relief and emotional ease with the Feldenkrais Method with Eveline Wu, GCFP, LMFT, 20 years experience. With 20 years experience, I support you to relieve chronic pain, gain emotional ease, and learn to move and feel better, using the Feldenkrais Method. I am a Guild Certified Feldenkrais Practitioner with a MA in Somatic Psychotherapy, who has studied with leaders in the mind/body field. The Feldenkrais Method is a unique approach that uses a mind/body awareness approach to shift patterns of physical and emotional pain. My way of working is gentle and respectful of you as a person, supporting safety and your goals. I am particularly attuned to people who are sensitive, - with trauma, neurological, or longterm issues- impacting them physically and emotionally. I also am a Licensed Marriage and Family Therapist with a separate practice in somatic psychotherapy.